Solar Panels Liverpool - EARN MONEY! 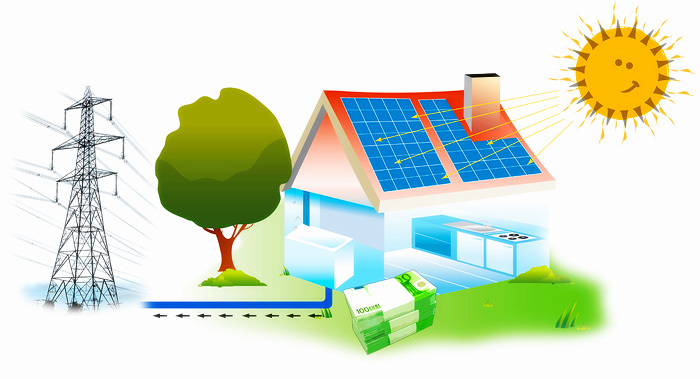 Did you know you can earn money by installing Solar PV? Installing solar panels is not only good for the environment, but it's also good for your bank balance. As well as saving money on electricity bills by drawing energy from the sun, you can also reap the rewards from a TAX FREE Indexed Linked Government scheme which is guaranteed by law for 25 years. Explain the Clean Energy Cashback Scheme and Feed in Tariffs. Explain how you get paid for electricity you generate even if YOU use it. Show how you can earn money by selling electricity back to the national grid. Explain the savings on your electricity bills. Select Renewables are unbeatable in terms of quality and advice, and we are here to help you create additional income using the cashback from Feed in Tariffs, reduce your energy bills and do your bit in the campaign against global warming. For more information request a FREE no-obligation Solar PV Survey via our Contact Us Page or give us a call and we'll discuss your options.